The LAIKA lives in Lake Washington but summer voyages will surely have us traveling into and around Puget Sound. 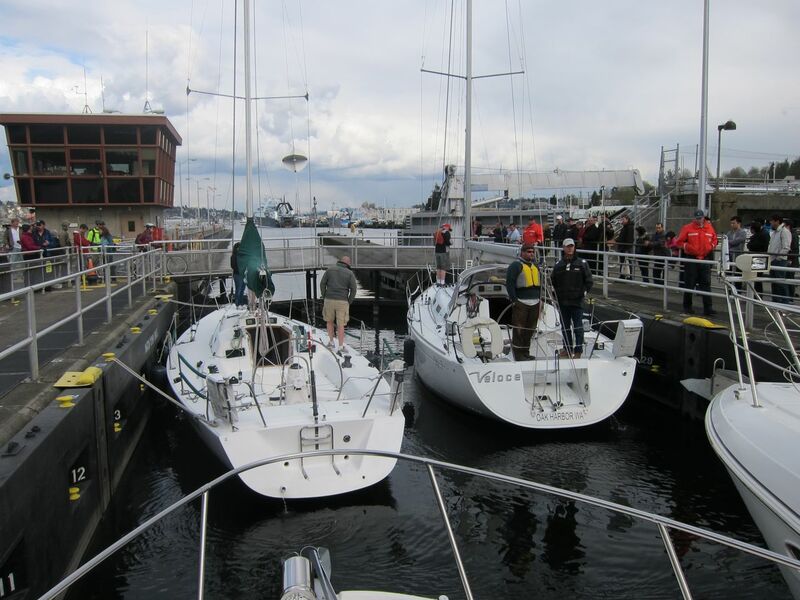 To get there we’ll need to head out toward Lake Union and then on to the Hiram M. Chittenden Locks – a popular tourist spot in Seattle and a necessary transfer junction bridging the lake and Sound. So far, we’ve gone through the locks four times with our own boat and a few other times onboard friend’s vessels (both power and sail). While we were warned well before our first attempt that the locks can be intimidating, we found the process of preparing and going through both orderly and fun. In boating “slow is the new fast” and that’s especially important when entering and maneuvering within the locks. It’s also critical to have the right gear which means two 50′ lines ready to be used should you be selected to enter into the large lock. The smaller lock doesn’t require long lines, just regular dock lines. Cathia and I are now fairly comfortable locking through. We approach cautiously and await instruction from one of the lock masters, after determining which lock to enter by way of the traffic lights. One of our close friends suggested always having a box of cookies ready to share with the lock personnel. We’ve followed his advice every time now and have been warmly greeted and accommodated, despite our relative lack of boating and locking experience. What’s the scariest part of maneuvering in the locks? Our experience suggests that it would probably be positioning our boat in the small lock when it’s full – which means only about four or five other boats. 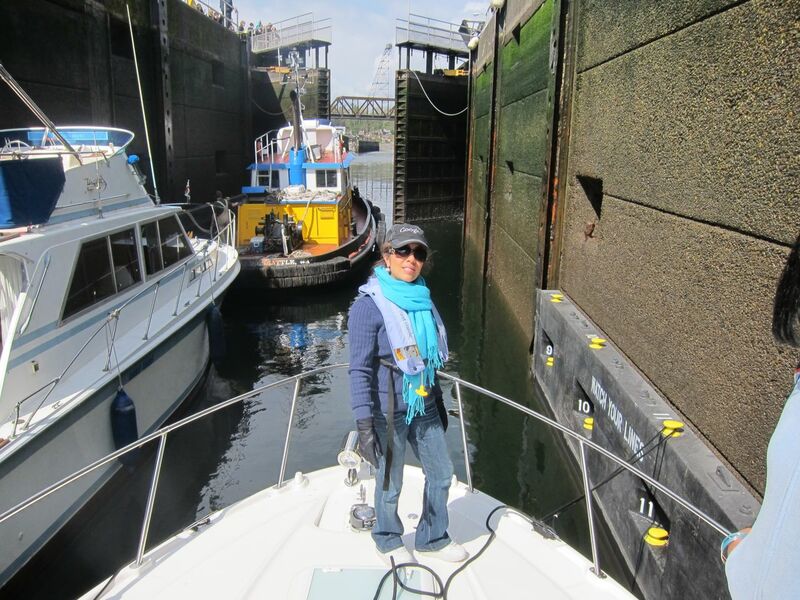 Twice now we’ve been asked to scoot in and tie up next to another boat with only inches between our port side and the wall of the lock and large I-beams. Having plenty of fenders on both sides is a prescription for both success and sanity. A few words of advice we’ve taken to heart include paying close attention to the lock attendants and handling lines in the order they dictate (lake lines are always removed last due to outflowing current) and going as slow as safely possible. The last part has been fairly easy thanks to our Axius system. I find myself controlling the boat by joystick whenever I’m inside either the small or large lock. This entry was posted in Uncategorized and tagged Ballard, locking, locks by David. Bookmark the permalink.